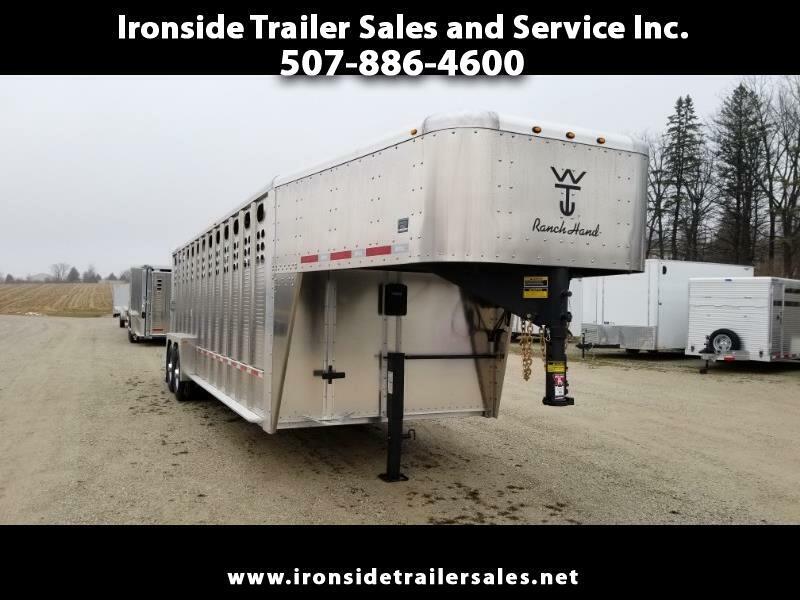 Used 2019 Wilson Livestock Trailer for Sale in Harmony MN 55939 Ironside Trailer Sales and Service Inc.
2019 Wilson Ranch Hand Livestock Trailer. It has crowd gate, side door and a sliding rear gate. Wilson livestock trailers are durable made to last for many years come in and see it in person at Ironside Trailer Sales in Harmony, MN.